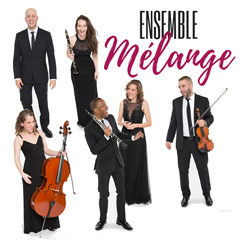 This award winning New York based chamber music ensemble of exceptionally accomplished musicians changes the rules of performance and delivers the unexpected. The audience is invited to actively participate in the selection of works to be performed by choosing from a menu of over 30 works derived from 15 different musical genres ranging from classical, baroque, and romantic, to jazz, Latin, and Broadway. The result is a high energy performance you won't want to miss.